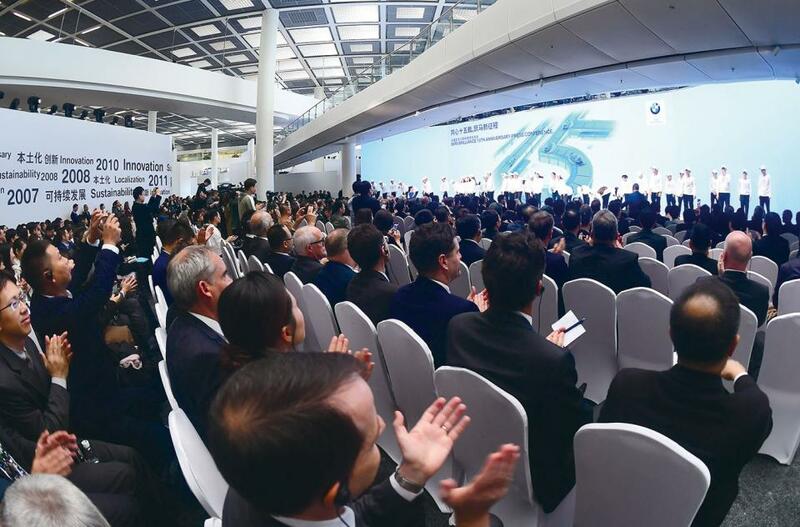 This move was announced on the fifteenth anniversary of the founding of BBA when BMW and Brilliance China revealed that they would extend their collaboration contract until 2040. BBA also announced a three billion euro (US$3.4b) injection of funds into its plants in the city of Shenyang, and an increased annual production target of 650,000 cars starting from the early 2020s. According to the announcement, the share deal, valued at 3.6 billion euro (US$4.1b) will take effect in 2022, ­coinciding with the deadline by which China has pledged to relax restrictions which ban foreign automakers from holding more than half the shares in a domestic joint venture, which the government has described as a strong measure to expand reform and opening-up. According to Chinese media reports, BMW is the first beneficiary of the policy change. After the deal takes effect, BBA’s new eight-seat board of directors will include six from BMW and two from Brilliance China, and the chairman and general manager will also be nominated by BMW. China’s ban on foreign automotive investor majority ownership ­started in 1994 when the nation’s auto industry was performing poorly in an effort to protect domestic carmakers. Since then, domestic automakers have learned much from cooperation, but have been left too reliant on foreign investors. It is hoped that lifting the ban will urge domestic automakers to prioritize self-sufficiency and innovation. As more ­international brands follow BMW and pursue a larger share of the Chinese market, local brands – though they already occupy nearly half of the market – will face greater threats to their survival. The market has already shown concern about domestic makers. Straight after the latest share deal the stock price of Brilliance China plunged by around 27 percent.